WHY BUY A SAUNA HERE? A Google search on the internet puts you in touch with quite a number of suppliers that are willing to take your money while they give you superficial support. Most have not used a sauna extensively so they lack a solid understanding of sauna products - perhaps just enough to get the job done. - Our Policy Ensures "You Get More While You Pay Less"
Home Saunas Since 1974 likes to give you more while you pay less! Because of our volume business and our low overhead - we can! You will find excellent pricing here - no gimmicks - just honest low prices, lots of value for your dollar and our experience that really sets us apart from "the rest". Why Buy a Sauna from Us? Get More! - Get a FREE copy of the "The Art of Sauna Building"
Get More! - Benefit from our "Best Price Policy"
Over 65,000 Customers Say "Our Experience Makes the Difference!" GREAT LOW PRICES: You will pay less here. You can buy saunas and sauna heaters at factory-outlet prices because of our volume sauna business! See our Price Guarantee below. GREAT INFO SUPPORT: Every sauna customer gets a copy of our best-seller sauna building book, "The Art of Sauna Building" with our compliments. 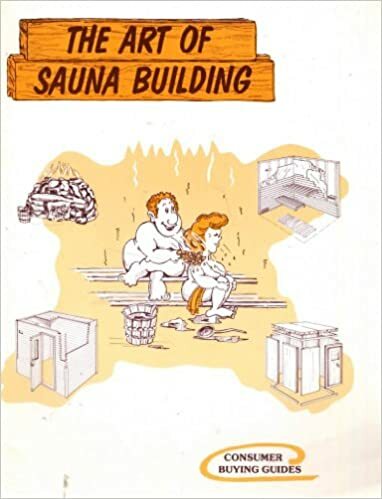 The book will help you build a great sauna. It has helped over 65,000 already build their saunas. It has helped over 65,000 customers build their saunas correctly and install their sauna equipment easily. TIPS to AVOID MISTAKES MADE by OTHERS: We will share many of the tips we have compiled from our 65,000 customers when we review the "Tips to Avoid Mistakes Made by Others" with you. We want to eliminate any chance of a repeat. None of our competitors can make this offer to you! We developed this guide over the years with the help of our 65,000 customers. We will go the extra mile to make it easy for you! GREAT TECH SUPPORT: As a sauna manufacturer and factory-outlet since 1974, our sauna experts are trained by our Finnish-born Sauna-Guru, to give you lots of support and advice as needed. We've been there - done that since 1974 - and happy to share our sauna knowledge & sauna building experiences with you! We're here to make this easy for you! GREAT WARRANTY: Your purchase of a sauna or sauna heater includes extended heater warranty. Most sauna heaters on the market today offer only a 2 or 3 year warranty, a few 5 years at best. BEST PRICE POLICY: When you buy your sauna equipment here, you are backed up by a guarantee that if there is a better price for identical goods, we will offer you our 110% price guarantee. we will match that price and deduct a further 10% of the difference for pointing it out to us.